Bolognese Drawings of the XVII & XVIII Centuries in the collection of Her Majesty The Queen at Windsor Castle. by Kurz, Otto. 1955. 159 pages. This is an ex-Library book. Pictorial jacket over red boards with lettering to front board and spine. B&W photographs. Neat clean pages with light tanning and foxing to endpapers and page edges. Usual library inserts. Photographs are clean and neat. Few dog eared corners. Noticeable bumping,rubbing and scuffing to spine ends and to corners with rubbing, scuffing and wear along edges and over surfaces. A few marks to front and rear of boards. Slight lean to spine. Fair wear to dust jacket with tears, nicks and creases to the spine, edges and corners. Jacket is in removable plastic cover. 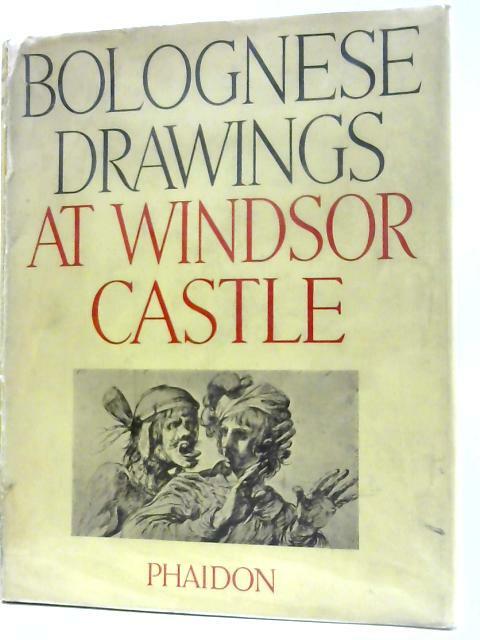 Bolognese Drawings of the XVII & XVIII Centuries in the collection of Her Majesty The Queen at Windsor Castle.